The prime minister’s annual Closing the Gap report has revealed only three out of seven targets are "on track", 10 years after the policy was launched to improve the lives of Indigenous Australians. The 2018 progress report has revealed the government is still not on track to address gaps in life expectancy, literacy and numeracy, school attendance and employment. Despite this, 2018 is the first year in which at least three targets have been on track since 2011, after last year saw only one target on track. The targets on track are halving the gap in child mortality, enrolling 95 per cent of all four-year-olds in school and halving the gap in year 12 attainment. The report noted that the federal government would look to “refresh” the approach to closing the gap. “With four of the existing Closing the Gap targets expiring in 2018, the Australian government is working with the states and territories and Aboriginal and Torres Strait Islander people to refresh the Closing the Gap agenda,” the report said. The release of this report comes days after a 10-year review into the Closing the Gap Strategy found the policy had “all but fallen apart” due to extensive funding cuts and political instability. Prime Minister Malcolm Turnbull told Parliament on Monday that the latest report was “the most promising result since 2011”. He said a refreshed Closing the Gap policy would focus more on communities rather than setting broad national-level targets. “The last decade has given us a richer understanding about what works and what does not. The most valuable lesson has come from applying advice to do with, not to [Aboriginal and Torres Strait Islander people],” Turnbull said. “As part of the Closing the Gap refresh, state-by-state targets will give us more granular and specific local insight. Data that ends up in a spreadsheet at the ABS [Australian Bureau of Statistics] here in Canberra is meaningless. Turnbull also announced a new Indigenous Grants Policy (IGP), aiming to direct a larger portion of Indigenous-related grant funding towards Indigenous organisations. “We’ll trial a new Indigenous Grants Policy which will look at how the billions of dollars we spend on Indigenous-related grants might better support growing Indigenous organisations,” he said. “Before the Indigenous Advancement Strategy was announced, Indigenous organisations received 30 per cent of the Indigenous programs and activities funding. Now 50 per cent of the value of the IAS goes to Indigenous organisations. The prime minister also announced a partnership between the NSW Aboriginal Land Council (NSWALC) and the federal government to design and deliver the first Indigenous Business Hub in Western Sydney. Turnbull said this would help ensure “that Indigenous Australians play a central role in our nation’s success story in every respect”. NSWALC chair Roy Ah-See said this was a “great vote of confidence” in the council. “Under our new Strategic Plan, the NSW Aboriginal Land Council has committed itself wholeheartedly to an ambitious program of economic development geared at generating jobs and training for Aboriginal people,” Ah-See said. “The best way to close the gap in health, education and other indicators is through self-determination and economic independence. In opposition leader Bill Shorten’s response to the report in Parliament, he acknowledged the surviving members of the Stolen Generation and reflected on the national apology former prime minister Kevin Rudd gave a decade ago. “The lesson of 10 years ago is that there is nothing to fear from recognising and owning the failures of the past, nothing to lose from an honest debate about our nation’s history and the way we mark it,” Shorten said. Shorten then announced that a Labor government would establish a Stolen Generations Compensation Scheme. “To each of these survivors removed from their families, countries and culture we would offer an ex gratia payment of $75,000,” he said. “As well as a one-off payment to ensure the costs of funerals are covered. The Labor leader said he welcomed the improvements in this year’s Closing the Gap report, but noted that “on too many fronts, progress remains far too slow”. “In the critical areas of reading, writing, numeracy, school attendance, finding good jobs – we are not on track,” Shorten said. “It is hard to bid for a business contract if reading, writing, numeracy, attendance at school and surviving family violence is so difficult. Shorten said the government needed to take responsibility for some of the cuts to Indigenous services. “If a government cuts $500 million from Aboriginal services, it should have to answer for that,” he said. “If a government walks away from a national agreement that is successfully building houses in communities, delivering local jobs and apprenticeships and skills, it should have to answer for that. The Australian Council of Trade Unions (ACTU) used the release of the report to attack the government’s controversial Community Development Program (CDP). “This program is not about helping Indigenous people or empowering communities, it is about punishment and compliance. The rates of penalties handed out in this program far exceed all other welfare programs,” ACTU spokesperson Kara Keys said. 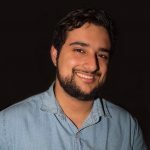 “If the Turnbull government wants to get serious about closing the gap on Indigenous unemployment it needs to abandon this paternalistic, racist approach and invest in communities on an equal footing, Indigenous workers, like all other workers, should be entitled to decent work, respect and jobs which pay a wage. Australian Greens Senator Rachel Siewert also highlighted the CDP as a program holding back the Indigenous community. “While I welcome the improvement in three out of seven targets to close the gap, that still leaves four important targets not on track. We have a long way to go”, Siewert said on Monday. 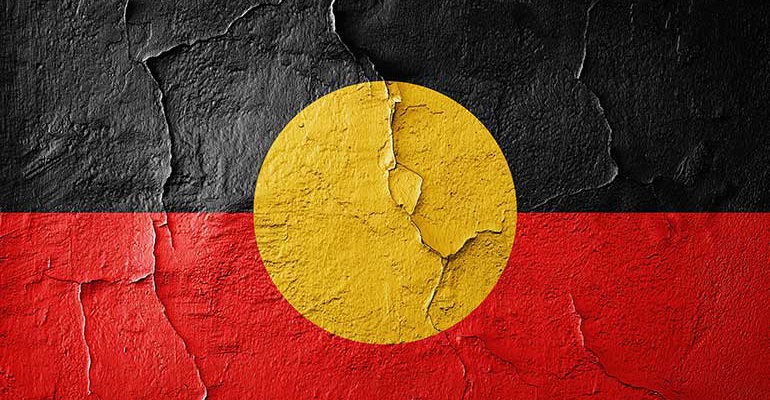 The National Aboriginal Community Controlled Health Organisation (NACCHO) called for urgent action to address the issues with Closing the Gap. “What we need however is radically different action to achieve the targets”, NACCHO chairperson John Singer said. “This starts with Aboriginal and Torres Strait Islander peoples, their community controlled health organisations and peak representatives having a genuine say over their own health and wellbeing and health policies. “There also needs to be a way in which NACCHO and other Indigenous health leaders can come together with COAG [Council of Australian Governments] to agree a ‘refreshed approach’ to close the gap”.